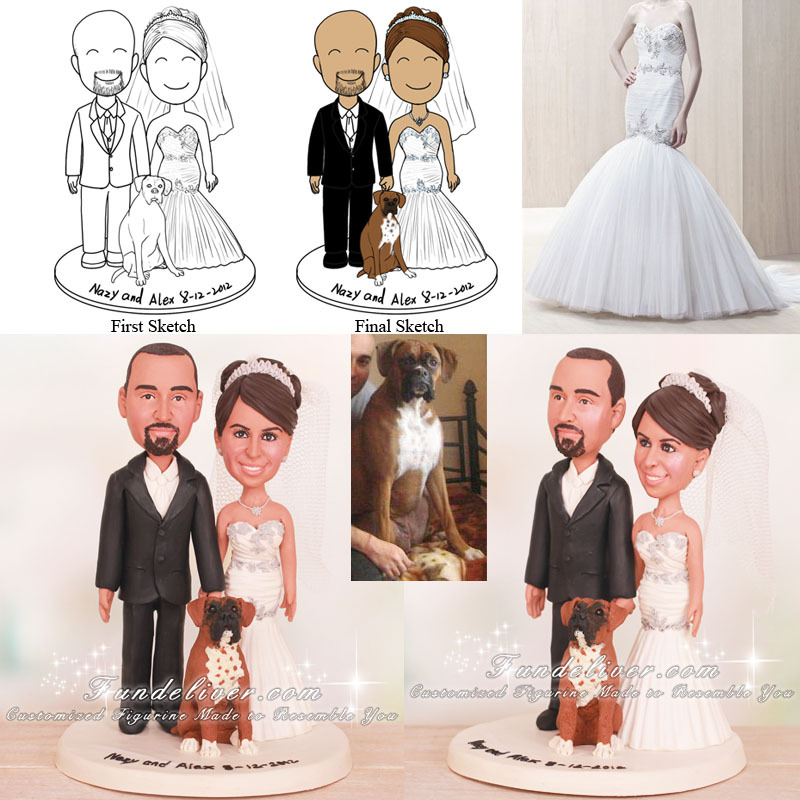 This is a completely customized bride and groom wedding cake topper with Pet Boxer ordered by one of our customers. 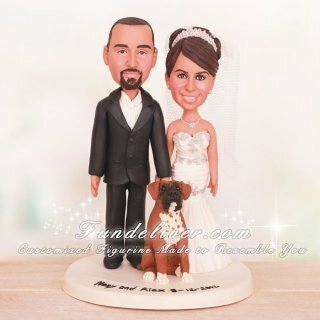 They would like a couple figurines to be holding hands, standing on a white round base with “Nazy and Alex 8-12-2012” writing on. The groom is wearing black tuxedo with a white tie and white shirt, the bride is wearing a white wedding dress with hair up and a tiara. They would like their pet boxer to be in the sitting position right in the middle of them.